Going for the Division Is the Best Play for L.A. The clock is winding down on the NHL season, which means the real marathon is about to begin. In less than a month, you’ll hear those special words. No more casual matchups. No more throwaway games up in Rochester. And no more trips to Toronto or Edmonton to boost your club’s self-esteem. The words are “playoff hockey,” and it trumps everything else on the agenda. Playoff tickets have been punched by the Los Angeles Kings, who are seeking to avenge last year’s horrible sequel to their 2014 championship run (it’s as if last season was the team’s tribute to “Caddyshack 2”). Qualifying for the postseason is a tiny item on the club’s checklist, and the only one that has been guaranteed with eight games remaining in the season. The Kings hold a small lead in the Pacific Division over both the Ducks and Sharks, but the race will likely be deemed too close to call until the final results are tallied after game 82. While there’s no overwhelming need to win the division outright, that’s exactly what L.A. should attempt to do. It’s in their best interest to play their final eight games with a playoff-like intensity, and to push for the top seed in the Western Conference outright. You might not agree with me, but let’s look at this argument from a few different perspectives. The first counter punch to this argument is an obvious one: in the NHL playoffs, seeding does not matter. This fact was proven, oddly enough, by the very same team I’m encouraging to go for a division title. But when the Kings won the Stanley Cup in 2012 as an eight seed, they didn’t magically turn up the intensity when the postseason kicked off. That Kings team went 10-4-1 in the month of March, and registered points in their final six games. In 2014, when the new playoff format put the Kings at the equivalent of the six seed, the end of their season included a six game winning streak and points in their final three tilts. Sure, the Kings succeeded despite their pedestrian playoff seeding, but in neither case were they mailing it in before the games really mattered. If anything, you can make the case that the Kings two title runs were propelled by their intensity as the season winded down. That intensity was based out of fear. Fear that the team could miss the playoffs, fear that they would be on the outside looking in at all the exciting hockey taking place, and fear that a failed season would result in many people being relieved of their duties as players, coaches, or executives. Last year the Kings did not have that level of angst, and got way too comfortable down the stretch. That’s the funny thing about hockey; lackadaisical play always comes back to haunt you, but you never quite know when it will. And if you really want to understand how important finishing the season strong is, take a look at the only team in the NHL that has virtually nothing left to play for in the regular season. The Washington Capitals have thrashed opponents at every turn, clinched the best record in the Eastern Conference, and are a shoe-in to secure the President’s Trophy with the most points in the league. 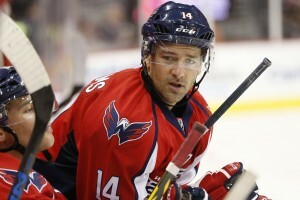 Despite having the regular season in a Michael Kors handbag, the Capitals aren’t planning on letting up. In a recent column by ESPN’s Pierre LeBrun, several Washington players explained why they need to finish the season strong, citing the task of maintaining “playoff level” of hockey down the stretch. Sound familiar? I firmly believe that the stumbles of many President’s Trophy winners had little to do with talent. Instead, most of these teams turned off the instincts and turned down the work-ethic that had gotten them to the top of the NHL regular season in the first place. The Kings are not going to win the President’s Trophy, but they can learn from the failures of the teams that ended their seasons on cruise control. Game 1 of the 2016 playoffs will be here in the blink of an eye, and teams who have been stuck in neutral may find it difficult to rise up to the newer, tougher challenge. Home ice advantage takes an entire year to achieve, and just sixty minutes to lose. The most interesting variable to this argument is just how difficult playing each of the Kings potential first round opponents would be. First off, there are no easy matchups in the Western Conference. Earlier in the year, the Pacific Division was a glorified mess of talent and coaching blunders. But here we are in March, by hook or by crook, with three above-average hockey clubs under that same Pacific umbrella. If I were a member of this Kings organization, I would not want to play either the Ducks or Sharks in the first round of the playoffs. Both teams are peaking at the right time, and have shored up their single-greatest threat to playoff success (goaltending). Third year rookie John Gibson has been outstanding since becoming the main guy in net for Anaheim, and former King Martin Jones has admirably handled all of the pressures of being a new starting netminder in San Jose. Plus, there’s the emotional side of the spectrum to consider. When NHL commissioner Gary Bettman decided to switch up the playoff structure, I really don’t think it was the result of a dare or a magic eight-ball (but who can be sure). The league wanted rivalries to mean more, and as a result, have made the first-round series more physically imposing than ever before. The Kings are more than capable of beating both squads, but losing the division will require just that, beating both squads. Imagine the amount of pain and wrist slashes avoided if L.A. only has to defeat one of their California rivals in the conference semi-finals. This is not meant to disparage or belittle the Predators, Avalanche, or Wild, each efficient teams with enough talent to make the Kings sweat. But the Stanley Cup Playoffs are a marathon of carnage, and L.A. could actually preserve their well-being by continuing to win in the regular season. Hockey fans are fantastic, dedicated people. But it doesn’t take long for them to detect trouble, sense something is amiss, or realize when their team is not up to par. What kind of a message are the Kings going to send their fans if they just mail in these last eight games, and gift wrap the division to an in-state rival nonetheless? The Kings could hypothetically fall all the way down to the three slot in their division, and be forced to open the postseason on the road. It’s a familiar setting, but it would not be a familiar finale to their regular season. 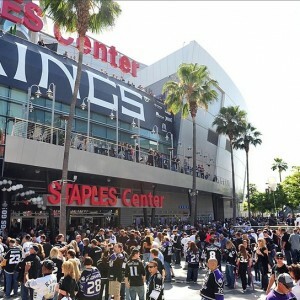 L.A. supporters are used to their hockey team fighting to the bitter end, even when the deck is stacked against them. Anything less is unacceptable from those in the organization and certainly not expected by those outside of it. By signaling that the Pacific belongs to them and nobody else, the Kings would ignite their fans with the belief that a third Cup is on the way. Not in a few years, not if the puck bounces the right way. Now and not a second later. The Kings went on to win this game in overtime, a game they didn’t need for their upcoming playoff health. But they sure did want that win. It’d be nice if they continued to want what they don’t need.